Corsair has launched a new improved version of its Hydro Series H60 liquid CPU cooler. HEXUS reviewed the original Corsair Hydro Series H60 back in 2011, then it was revised in October 2012, and even before we look at the specs, the appearance is markedly different due to this 2018 refresh. You will immediately see that the cooling block has been reshaped, reduced in size and has white LED lighting frills. More importantly, Corsair claims this is its best performing 120mm radiator equipped cooler yet - by a significant margin. Above you can see George from Corsair outlining the key qualities of the new Hydro Series H60 liquid CPU cooler. 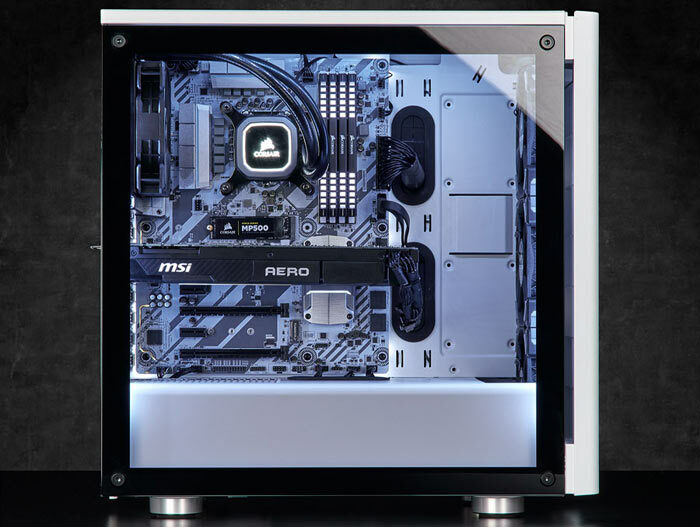 In the video there is a lot of information given out to users who are yet to be converted to AiO liquid cooling, as this product is repeatedly compared to air cooling rather than the previous model. Nevertheless, there are some 2018 upgrade highlights pointed out - an improved cooling plate for a "significant" gain in cooling performance, and the new white LED frills. 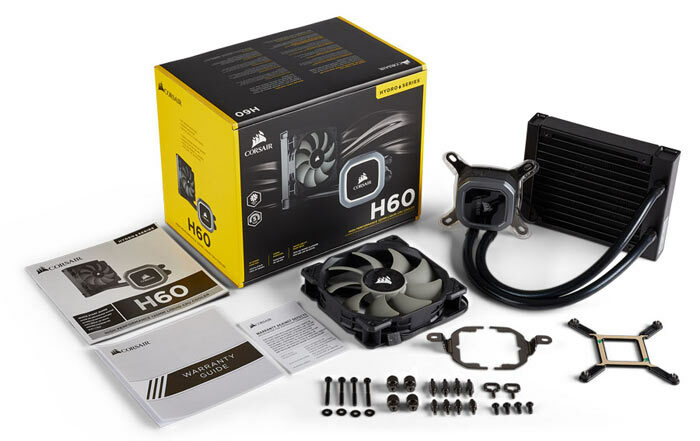 Corsair is currently offering the both new 2018 Hydro Series H60 liquid CPU cooler and the older model on its website here in the UK (both advertised at £76.99) so it's easy to see what else has changed without rooting through old press releases and reviews. Corsair doesn't give us any tech background to the pump head cold plate being so improved. The 2018 cold plate is described simply as "thermally optimized," while the old one was described as made of copper, with pre-applied thermal compound. The biggest differences in the spec revolve around the radiator fan specification. The newly equipped SP Series 120mm fan boasts better specs in almost all departments. Elsewhere we can see the new AiO cooler tips its hat to the LED lighting trend. 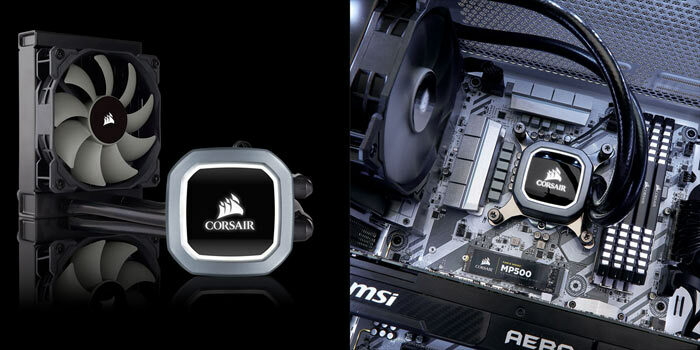 It's just a white LED device, not RGB, present on the cooling block cap behind the Corsair logo and its border. You can adjust the LED light properties, and radiator cooling fan, with Corsair Link software. Corsair says that the new Hydro Series H60 liquid CPU cooler is now available on its web store worldwide. I noted above that it retains its predecessor's price of £76.99 here in the UK. I'm genuinely shocked by the lack of RGB. The only explanation I can think of is that they're keeping that option for the next iteration. Lack of RGB is IMO a good thing for an entry level product. And let RGB fans (pun intended) opt into that with another product instead of us having to pay extra if we don't want it. And white would be my choice of colour for lighting anyway, as what is the point of coordination if you then can't see the original colours. That build they show is just classy in my opinion.